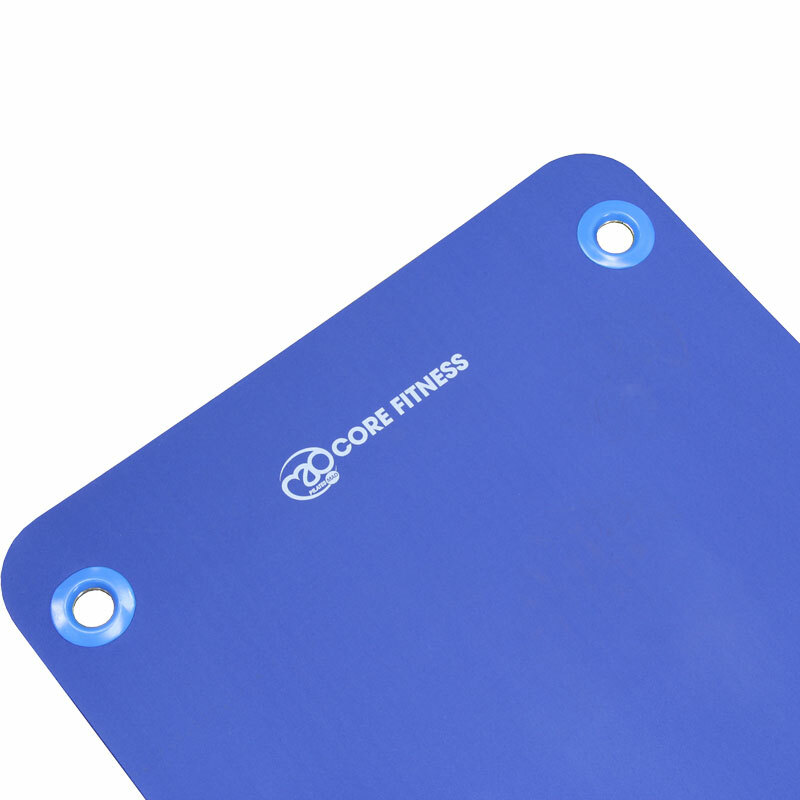 The Fitness Mad Core Fitness Eyeletted Mat is identical to the Core Fitness Mat with the addition of rubber eyelets for hanging the mats when not in use. Eyelets are 50cm apart (centre to centre). Will fit hangers up to 2.5cm in diameter. Perfect for aerobics floor work or pilates. NBR foam offers excellent cushioning and memory. Lightweight and ideal for those on the move or studios with limited storage. Ribbed top side and smooth bottom. Closed cell foam: Non absorbent and wipe clean. 10mm mat - 182cm x 58cm x 10mm, 1.1kg. 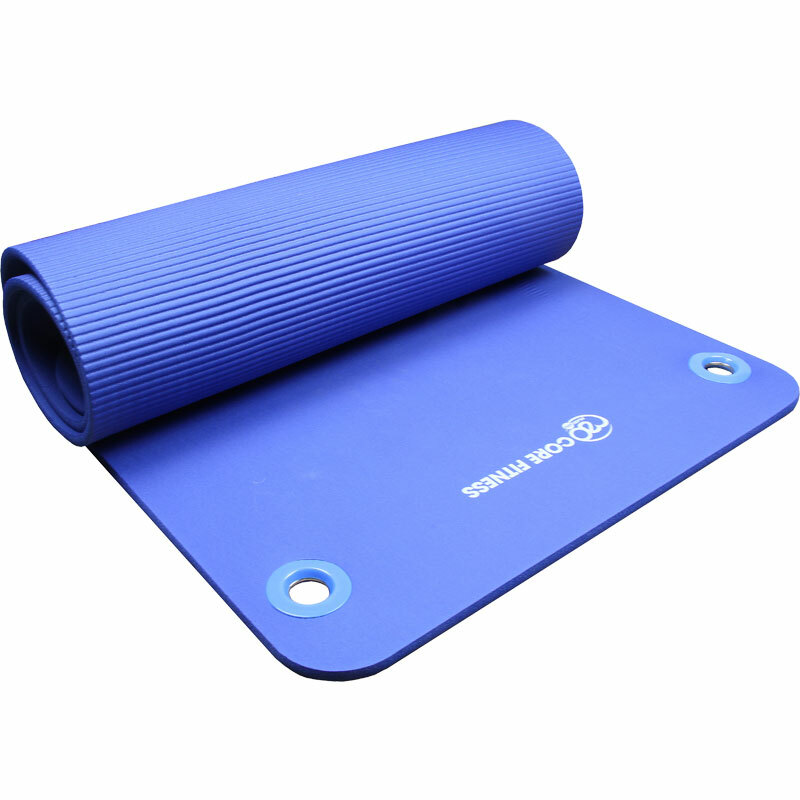 15mm mat - 182cm x 58cm x 15mm, 1.65kg.